Amaike, K.; Itami, K.; Yamaguchi, J. 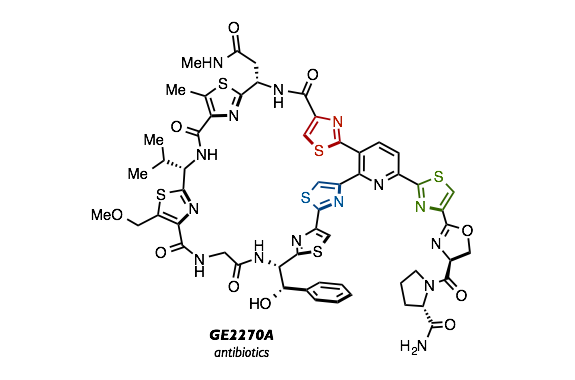 We have described a C−H arylation/ring-transformation strategy for the synthesis of triarylpyridines, which form the core structure of thiopeptide antibiotics. 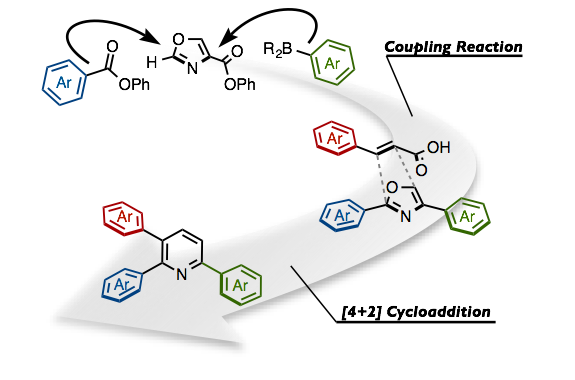 This synthetic method readily gave 2,3,6-triarylpyridines in a regioselective manner by a two-phase approach: C−H arylation (a nickel-catalyzed decarbonylative Suzuki–Miyaura cross-coupling and decarbonylative C−H coupling for the synthesis of 2,4-diaryloxazoles) and ring transformation ([4+2] cycloaddition of 2,4-diaryloxazoles with (hetero)arylacrylic acids). 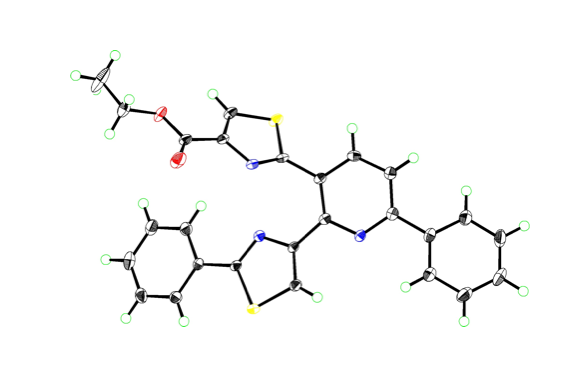 To showcase these methods, we have accomplished the formal synthesis of thiopeptide antibiotics GE2270 s and amythiamicins.